Bitcoin Fog Review - Is It Legit or Scam? If you’re trying to get your hands on a Bitcoin mixer or have questions related to Bitcoin mixing this Bitcoin Fog review is exactly where you should’ve landed. First and foremost I will explain, compare and contrast the features and problems that Bitcoin Fog brings with itself, and then answer the most common questions related to Bitcoin mixing. What are the Factors I consider for a Bitcoin Mixer Review? You as readers have full rights to know on what basis or factors do we label one mixer better or worse than others, the measuring yard-sticks, the aspects we take into account. Anonymity tops the chart for me, how anonymous the platform is, the amount of personal data it asks for (if any), its logs policies etc. Then there’s the number of additional addresses it supports, the more the better. The user-interface too comes into account, anything too hard or complex for basic users isn’t applauded. The minimum and maximum limits too factor-in, other advanced features which add to anonymity such as time-delays too are considered followed by distribution control and finally the fee a mixer charges for the operation. The amount of control users are provided when it comes to time-delays and distribution control too are what I consider in all my Bitcoin mixer reviews. The above points should make it clear that all these reviews are as transparent and in-depth as possible. If you’re here just for the mixer review, keep reading; if you’re completely new and also need some more info on the “Who and Why” of mixers, miss not the second-last section of this Bitcoin Fog review. No logs policy: Yes (7-day Retention period). Time Delays: Yes, Partial user control. Does Bitcoin Fog require Registration? Yes, Bitcoin Fog is a registrations-only platform, meaning users can use the platform and avail the services only after a mandatory registration. However, the registration process is completely anonymous and doesn’t ask for any personal information, E-mail verification or anything of that nature and it’s completely free as well. The only fields required are a username and a password. None of which negatively effects user anonymity in any way. Account activation is instant. By user-interface I mean the ease or hardship users go through while using any website/app or platform. 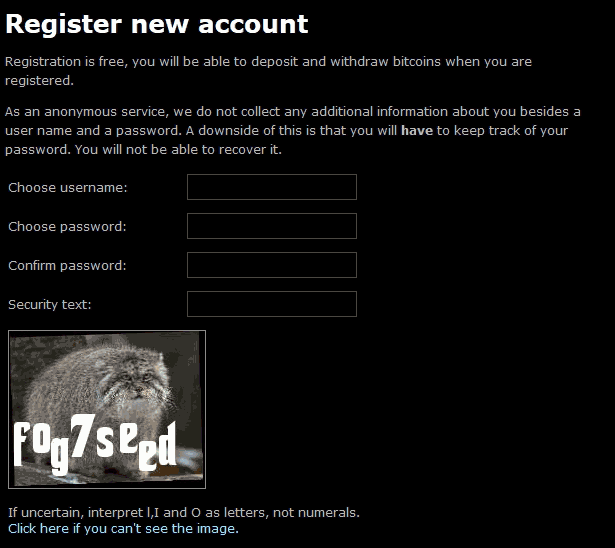 As for Bitcoinfog, it arguably could be one of the simplest user-interfaces I’ve ever seen. It’s not graphic-rich, no. Neither is it ultra advanced with sliders or other such features, it’s just simple. 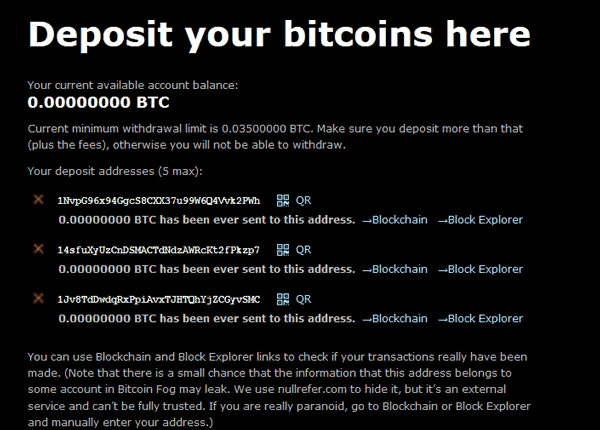 What I mean by that is, users go to the deposit page and make their deposits. It lets users create as many as 5 different deposit address, which is rare considering how nearly every other Bitcoin mixer just provides users 1 single deposit address, these 5 separate deposit addresses further increase anonymity as there’s no link or proof of all these addresses being owned by the same platform. Anyway, once these coins arrive in your Bitcoin Fog wallet(s), users can simply withdraw them manually whenever they wish to. Pretty simple. How Many Additional Addresses does Bitcoin Fog Support? Additional Addresses are the number of addresses a user can send each of his clean mixes to, using more than one address to receive the clean set of coins increases anonymity as the total amount received in each address isn’t the same as the total amount deposited to the mixers. Also, to third-parties and spies, it would simply look like a number of different accounts, receiving random amount of funds from random addresses, no links whatsoever. 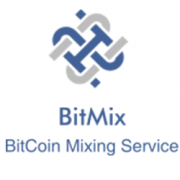 Here too Bitcoin Fog brings more than other mixers and lets users withdraw each of their mixes to as many as 20 addresses, all other mixers I’ve seen so far support only a maximum of 10. Does Bitcoin Fog allow Time-Delays? Are they User-controlled? Time-delays are another one of the most important features which help a mixer enforce anonymity. They are the time-delay between a deposit and withdrawal so that there’s some amount of delay between the user depositing the unclean coins, and the output addresses receiving the clean coins. Bitcoin Fog does allow for time-delays, although it’s more like a generic delay and not specific; meaning users get to select the number of hours the transactions would be spread through (minimum 6, maximum 96 hours) and the number of hours before starting the withdrawal (maximum 48). 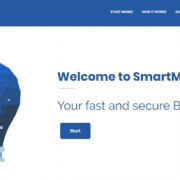 So in other words, users get to set the time only after the passing of which the first withdrawal will start, and the farthest hour before which all the withdrawals to all the addresses will be complete. Even though it doesn’t let users manually set the exact time-delay for each address, the start-time and overall-time can be controlled which I’d say is a good enough deal. Does BitCloak Provide Distribution Control? Distribution control is another most important features that warrants a mention in this Bitcoin Fog review, it too adds to the user and transactions’ anonymity. Distribution control denotes the control over the distribution of exact amount/ percentage of funds, out of the user’s total funds to be sent to each individual output address. Bitcoin Fog doesn’t provide direct distribution control; meaning users don’t get to select what percentage of their total funds gets sent to each individual address when addresses are entered together as additional addresses on the withdrawal page. However, because the withdrawal process is manual and can be repeated, users can create many different withdrawal requests, and by specifying only 1 output address in each request with one specific amount they get to exercise complete control over the distribution of the funds. What Fee is Charged by Bitcoin Fog? One of the most important aspects of this Bitcoin Fog review is its fee; in my personal opinion, there’s no standard fee any mixer should charge rather the fee should be in proportion to the features being offered. Bitcoin Fog’s fee may seem slightly higher than other platforms at first glance, as it charges a 1-3% randomized fee for each transaction meaning the fee is never less than 1%, or more than 3% and isn’t static or fixed, however it’s worth noting that other platforms charge extra fee for additional addresses, which Bitcoin Fog doesn’t and no other fee is attached to mixes. However, there’s no user-control on the fee and users do not get to increase/decrease or effect/change the fee in anyway, it’s just random. What are the Minimum-Maximum Deposit Limits and Confirmations Required for a deposit to be Valid? The minimum deposit limit at Bitcoin Fog is 0.01BTC, this is the standard limit in the industry which nearly most other Bitcoin mixers are accepting. The maximum cleaning limit isn’t specified and probably depends on the platform’s reserves at the time of mixing. As for confirmations it’s pretty demanding and needs minimum 6 confirmations before it considers a transaction valid. However, it has a 2-hour wait-time if during which the coins do not arrive, they provide manual support with the deposit. 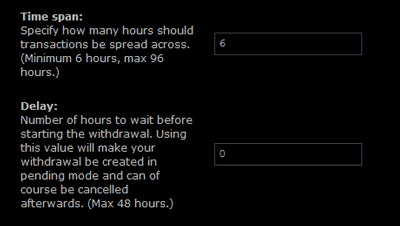 If user accounts which have been inactive for over 15 days make a deposit, another 15 minutes (in addition to the 2 hour wait time) is recommended. Does Bitcoin Fog Store Logs? Yes and no. Bitcoin Fog has publicly accepted to keeping logs for a 7-day period so they can provide support on transactions gone wrong, deposits not arriving and other such problems. However, after 7 days, all logs including the sending addresses from Bitcoin Fog are permanently deleted which does make it a pretty effective log policy. Who Should use a Bitcoin Mixer, and Why? 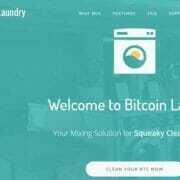 You don’t have to be a money-launderer or a Terrorist in order to clean Bitcoins, any user who simply respects his privacy and anonymity can and should make use of the available Bitcoin mixers. Every single Bitcoin transaction on the planet is recorded on the Blockchain, hence anyone can, in seconds, verify the sender as well as the receiver’s address for a Bitcoin transaction along with the amount of funds involved in the transaction and even the fee paid by the sender! So when a Bitcoin Mixer like Bitcoin Fog is employed, all of that data stays hidden as the users send their Bitcoins to the mixer’s address, after which the mixer sends a completely different, unrelated set of coins from its own reserve to the sender’s output address. 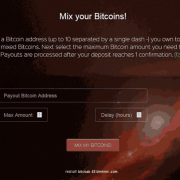 Some mixers like Bitcoin Fog also let users receive coins after a pre-specified time-delay, and/or break the full amount in many different parts and then send those different amounts, to many different addresses, at many different times which makes it virtually impossible to link the input of unclean coins to these cleaned coins sent by the mixer. So that’s about it, let’s wrap the Bitcoin Fog review up? So that’s me signing off on this Bitcoin Fog review folks. I’ve shared a transparent, non-biased, detailed review of Bitcoin Fog over here. If my opinion is asked for, I’d say it’s a pretty acceptable platform, not extremely feature rich but not a total loss either, does everything a user would want from a Bitcoin mixer and provides quite a bit of user control too. But then again that’s just my opinion, do let me know what you feel about the platform once you get a chance to use it, and also drop your opinion and feedback about this Bitcoin Fog review in the comments down there.